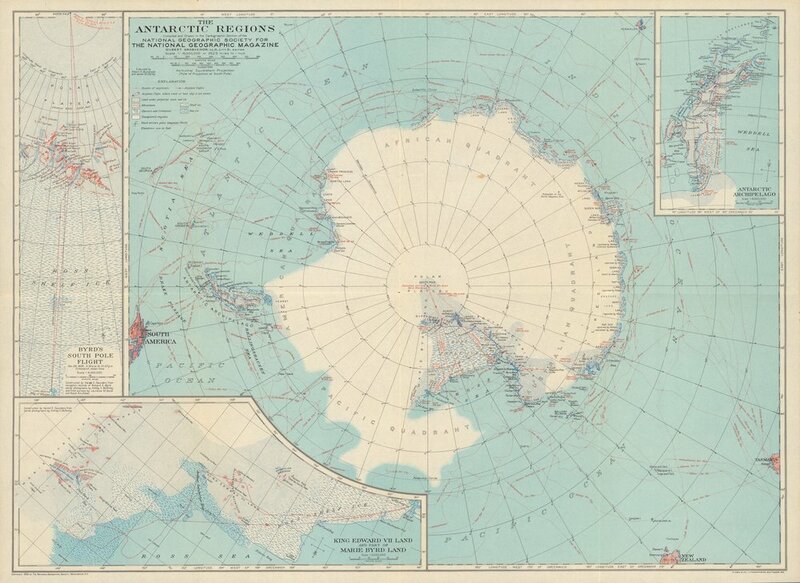 Found this print-resolution map from 1932 of Antarctica published by National Geographic. Perfect for BtMoM (and perfect for the new, concurrent instance I'm starting next week). Thanks to the David Rumsey Map Collection (this 1931 map is also not half-bad).